Don't fall victim to a “prey” mentality! 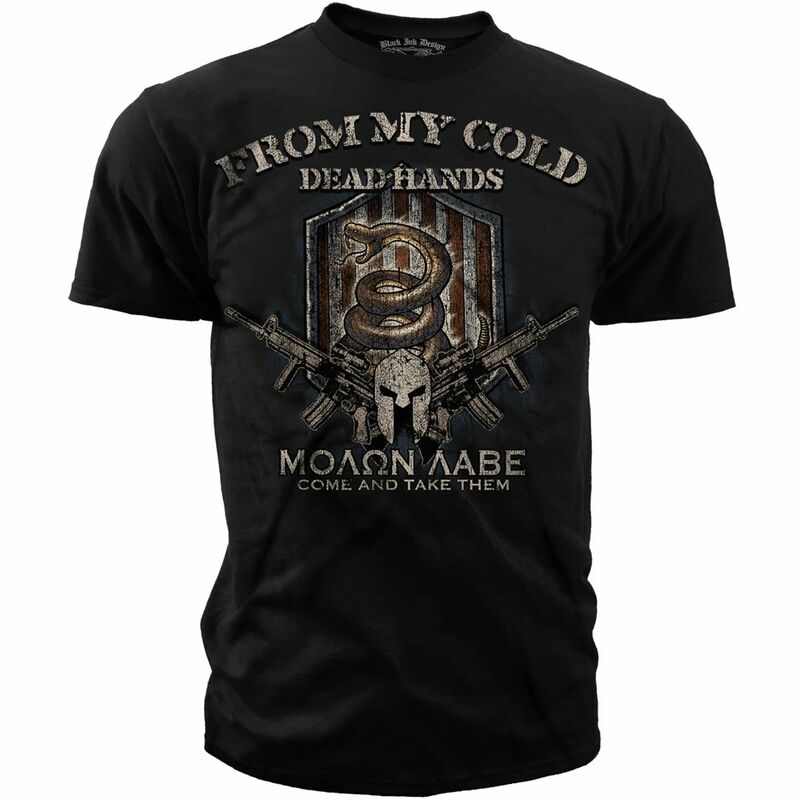 Should you ever doubt yourself for a second, find courage by wearing the Black Ink "From My Cold Dead Hands" Tee. This design features a powerful expression from the fight for 2nd Amendment rights and the Greek expression "Molon Labe" (Come and Take them). Cotton shirt is lightweight and breathable for hot summer days.